Here is a fun pre-opener for your Christmas Pack Meeting. Can you name that tune? Give out the puzzle above, and then print a copy of the answers below for yourself. 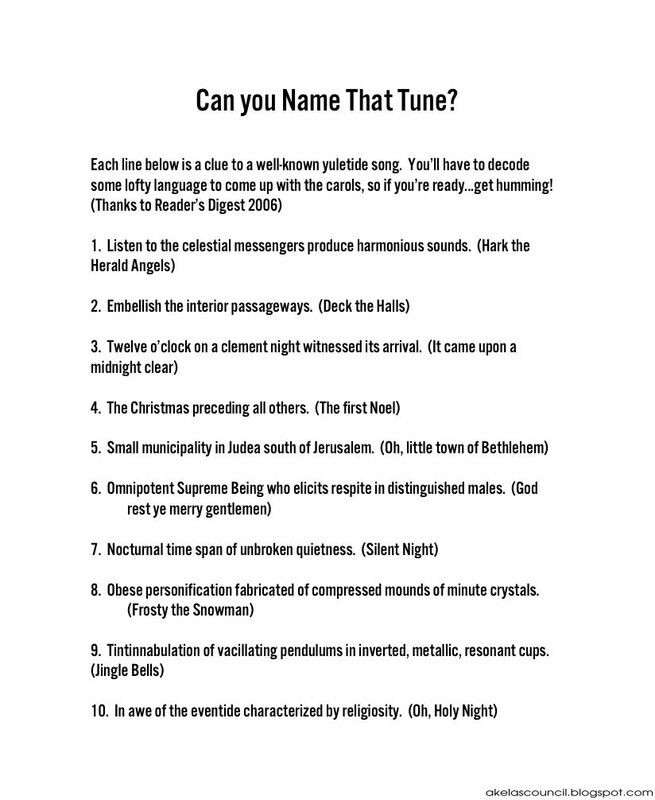 Each line of the puzzle is a clue to a well-known yuletide song. 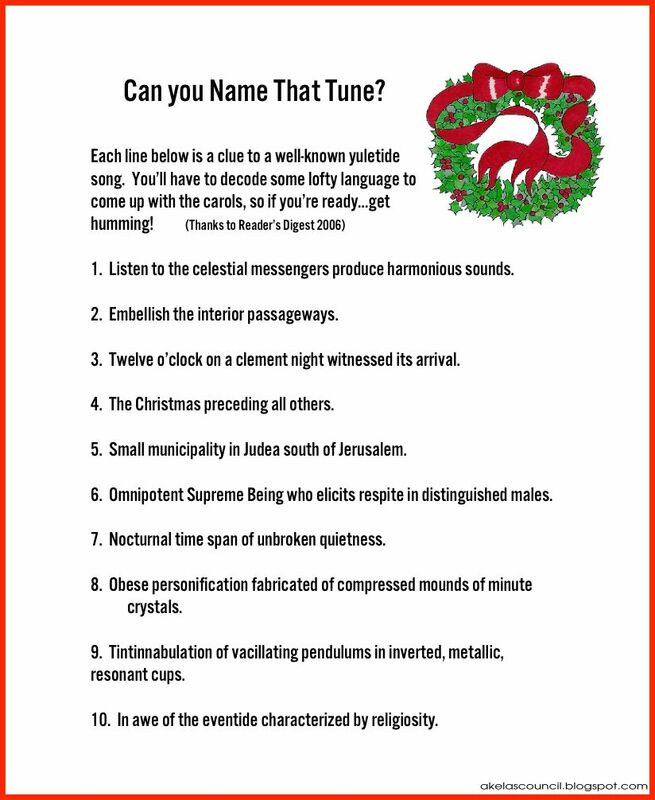 You'll have to decode some lofty language to come up with the carols, so if you're ready... get humming! Hark the Herald Angels, Deck the Halls, It came upon a midnight clear, The first noel, Oh, little town of Bethlehem, God rest ye merry Gentlemen, Silent Night, Frosty the Snowman, Jingle Bells, Oh, Holy Night.